If you feel it's time to visit Israel, our place is the best for those who want to enjoy Israel and still have cool and nice weather. A 54 SM suite with a large balcony, which have everything you could dream about. It is a self-contained unit with kitchenette, Jacuzzi-bath, dining room, full-bed sleeping area (the bed can be separated), treadmill for your health, full screen movie and sound system with a large collection of movies and music, and a beautiful balcony with almost 320 degrees view. Of course you have fast internet access, cable-TV (extra TV in the sleeping area) and you are always invited to spend time in the beautiful garden and patios downstairs. The unit can sleep 2 adults- we can add another bed for a child. 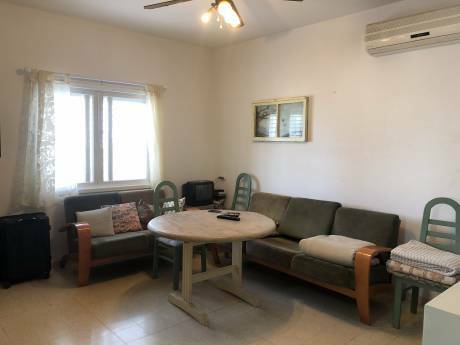 The advantage-- you can have it all over the year at you convenience, mainly if Israeli summer is not for you or you want someone to be there and guide you around. 2)THE WHOLE SIDE-SPLIT 3 LEVEL HOUSE (8 stairs between each level)- about 170 SM which will be available when we are not there. (for now we are going to be away June-25th- the end of July. ground level- 1. The main floor which is about 55 SM open space of living room, modern kitchen, dining and den/office. It is open to 2 patio-areas for the different hours of the day (sun is a major factor here). There is also a guest wash-room on the main floor. level 2: A master bedroom suite with 3 pieces washroom, a second room (a safe room) is optional. with a bath and washer-dryer. The top-level-3 suite as described above. 4. We probably will keep the safe room (mamad) for our staff, but of course in case of emergency, which we hope won't happened, it is yours to enjoy. 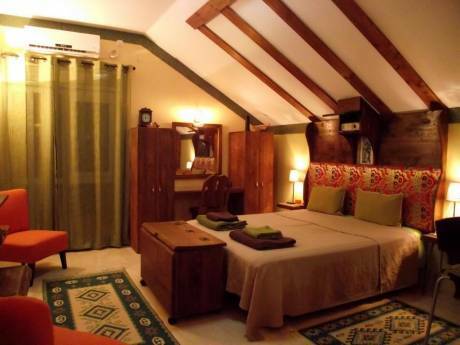 All the rooms have air-conditioning system. The house is surrounded by a beautiful garden which has computerized irrigation but we would appreciate some care of a few plants around. We are Daniel & Dina, a married couple in our 60th with 4 grown-up kids living in Canada (we returned from Canada to Israel 11 years ago). We are both professionals, Dani is a scientist in a Biotechnology R&D and Dina is an Educational Consultant (Ph.D from U of Toronto) with a private practice (expert in ADHD and parenting education). we enjoy travelling, hiking (there are lot of places for that around us), gardening, music and friends. As our kids live in Canada, we spend most of our vacation time there. Therefore for now, we are looking for a place in Vancouver-Canada. We might be interested in other places later on during the year so we are open for ideas for later on. 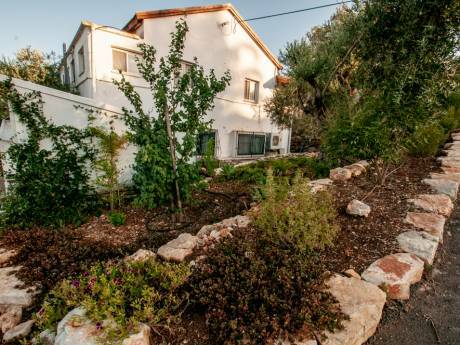 Our home is situated in the lower Galilee mountains, in Moran, a small gated community near the town of Karmiel (8 minutes) and about 30 min. East of Haifa. The community is surrounded by beautiful natural trees and flowers. It has private swimming pool you can enjoy, coffee-shop to meet people, a pub, if you like good local-made bear and a convenience store with all your everyday necessity. The best thing are the people who will always be happy to have chat with you or help you around. As this community has a special tranquil atmosphere, there are many artists, and alternative medicine practitioners who have chosen to live here, so if you want to practice Yoga, Pilatise, or enjoy good massage therapy, a cosmetic treatment or other treatments, it is right next door. We also have a small Medicare office, and if you need someone to guide you around we have a wonderful local guide whom you can hire for a private tour (sometimes there are community tours too). Most of the people can speak English so you won't have problem getting around. If you need some city life, Haifa is about 40 minutes away with all the culture and art you could wish for and of course good dining and entertainment. The town of Karmiel which is 8 minutes away, has 5 malls, dozens good restaurants and many cultural events. every August there is the international Falk Dances Festival, one of the biggest in the world- 3 days of shows, dancing through the nights and good food. A major attraction to remember and all this 8=10 minutes from us. If you are interested in something specific like, art, archiology, christianity etc. it is all there-- call us for more information.